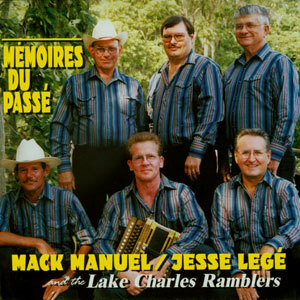 Memoires du passe is described as authentic Cajun dance music. Every weekend Mack Manuel & Jesse Lege are playing a dance somewhere in the Lake Charles or Southeast Texas area, as they’ve done for years. Their fans love their music, and you will too if you enjoy good Cajun dance music. Released in 1997, 15 tracks.